Lee Industries was a Chicago company based at 215 N. Dearborn Street, Chicago 1, Illinois. Around 1945/1946, they offered the Photo Master, which used 127 film, and had an O.P.A. approved price of $4.73. In fact, the same camera was also offered under other names by other companies like Herold and Seymour. See The Chicago Cluster. 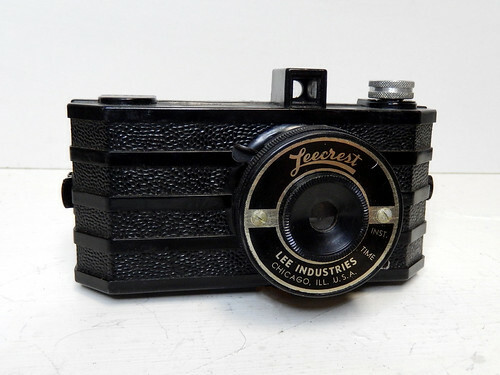 Another camera offered by Lee was the Leecrest, again also offered under other company names. A vintage advertisement suggests they were also involved with tableware, manicure implements, novelties, and "a host of other hard-to-get items".